After seeing how some people had learned invaluable life / business / leadership / parenthood / relationship lessons from The Godfather / Wesley Snipes / dogs / cats / horses / rocks (yes, you read that right), I thought I would write about some career lessons that I had learned from riding motorbikes. 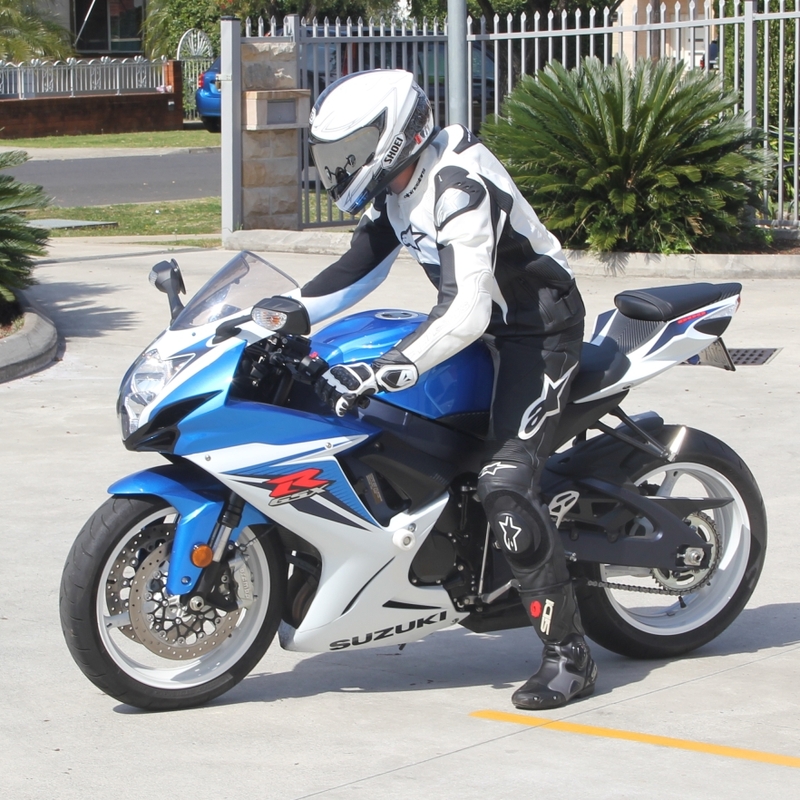 Note: Okay, so I didn’t really learn these career lessons from riding motorbikes. I just got the idea while reading an article with some pretty generic and tenuous linkages between business leadership and domesticated animals. Having said that, I’m not contesting that the authors of those pieces didn’t learn invaluable lessons from those sources. Sometimes inspiration comes at strange times and from strange places. In any case, I thought I would test my powers of abstraction and relate my love of motorcycle riding to a few career management lessons. Here are five, in no particular order. And yes. That’s me on my Gixxer in the picture above. Pausing to reflect in a moment of enlightenment. There aren’t too many things that compare to the feeling that you get when you ride a motorbike. The rumble of the engine directly underneath you. The immediate, unadulterated feedback from the environment around you. The thrill of leaning into a curve. If you pay close attention, you’ll see most riders knowingly nod at each other as they go by on opposite sides of the road. Behind the helmets they’re smiling, because they know what fun the car drivers are missing out on. Ride because you want to. Because its fun. Because you love it. This equally applies to your career. Pick something you enjoy, that you love doing, and you’ll look forward to waking up in the morning and to the challenges that lie ahead. If you don’t, you wake up every day dreading what lies ahead. This love also keeps you going when it gets tough. Much like riding when it’s stinking hot or pouring down, you’ll hit patches when work’s not too much fun or the pressure’s suffocating. Remember why you do what you do, and that the bad patch is only temporary. It will pass, and you’ll get to crank it on a clear strip once again. You never get to a point when you stop and say to yourself “I’m a perfect rider. I don’t need to learn anything else.” That’s because that can never be true. There’s always room for improvement. Good riders – especially smart, experienced ones – are always practising and looking at ways to improve their roadcraft skills. It is commonly understood that Hippocrates was talking about art in terms of craft (as in craftsmanship). Constantly strive to get better. There’s always more to learn. Even when you think you’re a master. One of the main reasons for motorcycle accidents is people riding beyond their abilities. It takes times to learn and understand the dynamics of riding safely, and many people overestimate their skills. Figuring out and building the confidence to do things like braking hard and cornering at speed takes time, and unless you understand how to do it properly, results in accidents. Sometimes even death. Start on a small bike that you can control, and learn your roadcraft. Then move to a bigger bike and keep learning. I’ve seen lots of people in a hurry to build their careers, and they do it at a pace beyond their ability. Sure, you might be able to talk or lie your way into a role, but the crash at that speed will hurt. A lot. Slow down. Get excellent at what you do. When you step up to the next role, it will be based on a solid platform of skills and insights. It’s unlikely that your career will also take a smooth, linear path. If you’re incredibly lucky, you might get an amazing mentor who might give you directions to make the right turns with enough notice. More likely, however, you’ll have to deal with lots of obstructions and hazards along the way – office politics, horrible bosses, back-stabbing co-workers, redundancies and an ever-changing world. If you’ve got a general direction in mind, though, you find it a lot easier to get back on track and keep moving towards you goals. The common understanding among motorcycle riders is that you should ride like everyone is out to get you (specially taxis and courier minivans). When you first learn how to ride, they teach you about the safety bubble, how to buffer, look out for hazards and deal with various other road safety issues. There are lots of drivers out there who are careless, negligent, impatient, psychotic, and otherwise general idiots – so much so that the term SMIDSY has now entered common parlance among riders. At the end of the day, though, how safe you are on the road is largely a function of how safely you chose to ride. You’re responsible for your career. You might get lucky and work for a small founder run organisation with loving, caring people who are passionate and excellent at what they do. If not, recognise that many people in the corporate world will choose to take advantage of you. From your colleague who manoeuvres for your next promotion off the back of your efforts to your boss who steals your ideas and steps on you for his, it’s up to you to protect yourself. I’m not saying that everyone is like this, but the world is full of people who operate like taxi drivers – they’ll cut you off and do whatever it takes (ethical or otherwise) to get ahead of you. As you can see, riding motorbikes can provide deep career insights as well as a fun mode of transport. What are some of the career lessons you’ve picked up from travelling on two-wheeled vehicles? What methods would you suggest to protect yourself from those around you that may be out to take advantage of what you do? CYA practices only works for risk and responsibility, it doesn’t really cover innovation and protecting yourself from the malfeasance of others after recognition of your good deeds. I was wondering if anyone would ask this, and am glad to see that you did. I have been thinking about it for a long time, and it probably warrants a post to do it some justice. Stay tuned. Also, thank you for reading! An excellent article Syed Ahmed. Keep it up!